Today, we’re releasing our H1 2016 look into the state of the consumer credit industry. Which providers generate the strongest passion from their customers and why? 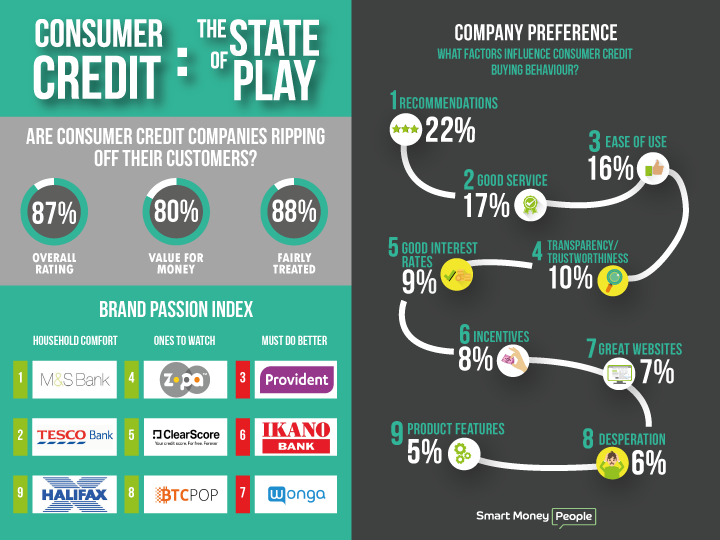 How do consumers choose the consumer credit providers they do business with? Our summary consumer credit dashboard is packed with interesting stats and insight sourced from the Smart Money People platform (see below for some extracts). It also features the launch of our Passion Index, which highlights the brands that deliver the strongest emotional response from their customers. Since launch in October 2014, Smart Money People has become the leading customer review and insight platform focused on financial services. We work with banks, insurers, building societies and alternative finance providers to deliver timely, granular and cost effective customer and market insight.